Every winter we are drawn back to the beauty of the Amana Colonies. The first weekend of December finds us celebrating Prelude to Christmas along with many others that have made this their annual or every other year holiday tradition. The streets of Amana are lined with picturesque buildings that represent one of America’s longest-lived communal societies. 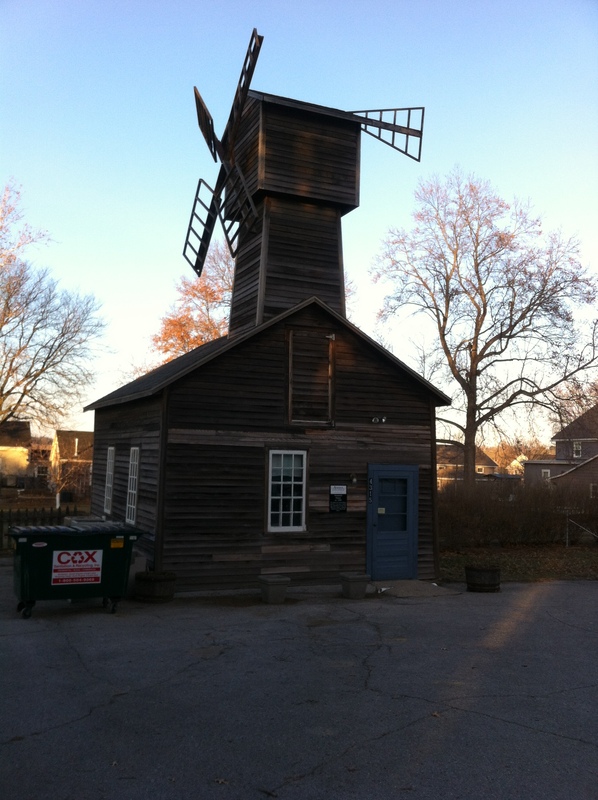 I had never noticed this building, the Windmill House before. I found it after coming out of an antique shop; it was tucked back behind a cluster of buildings. Built in 1880 there is a plaque on the building that says they don’t know the original use for this building but it was used to manufacture a feed additive for hogs from 1908 to1932 so the building is commonly called the “Hog Powder House”. Those living in the Amana Colonies during the 90 year communal period were primarily self sufficient. Coming from Germany where they suffered persecution immigrants came to America like so many for freedom of religion. Today the result of that group of Inspirations settling in Amana Colonies is a place like no other that we visit. The Amana Colonies is a place where the food is good served family style in an environment that encourages conversation, for me, this is a place to renew your spirit and restock. Although we have been coming to Amana for years, I find that each visit we find something new and delightful like this lovely Windmill House.